On April 15 a member of the Slaughterhouse crew KXNG Crooked started a live stream on Instagram. He mostly focused on his views on Kendrick’s new album, but also touched on Eminem & Slaughterhouse, namely their new album. Reddit user BLilxy watched the stream and retold all the interesting parts. Thanks to him. Check it out. BLiIxy: “He [KXNG Crooked] said that Kendrick can stand his own on a track with Em but thinks Em outraps him. 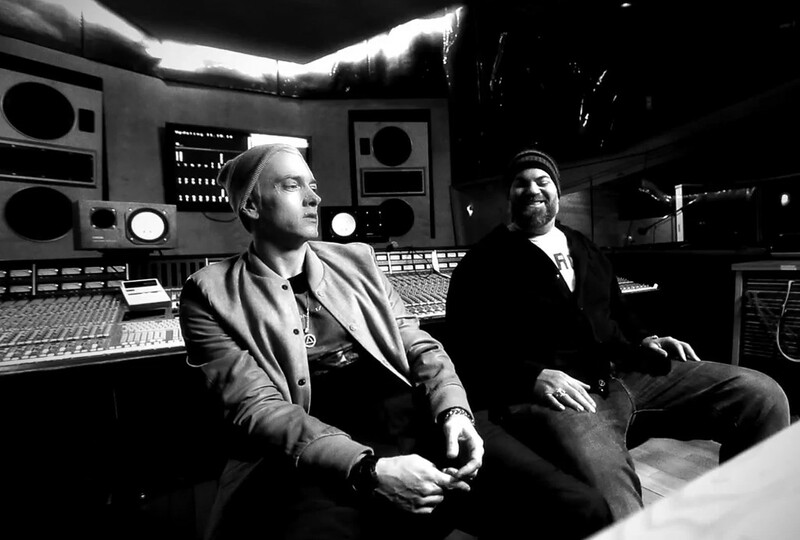 He said that he understands peoples negative feedback on Eminems approach lately (meaning the choppy flow and caring only about lyricism), he said that Eminem being a megastar in the mainstream he doesnt act mainstream at all, he said that on a platform like Em, fans will not always want to see a sledge hammer, specially on No Favors where they wanted to see Em in a different pocket, but Em always comes with the hammer. He said he knows that Em is cooking. He said he knows from their conversations and sessions that Em has something in store for the doubters, implying that there is way more to him. Mentioned multiple times that if it was his decision he would release it straight away”.